This is yet another year where I simply don’t understand most of the nominations that we’ve been given. I’d probably keep a couple of them, but there are some very different places I would go here. One of my favorite performances for 1998 is Laura Linney in The Truman Show, although she’s likely more supporting than lead. The same could be said of Renee Zellwegger in One True Thing. Since we evidently needed a nomination for Gwyneth Paltrow, I might suggest Sliding Doors as another option. Reese Witherspoon might make the cut for me for Pleasantville, although I think she’d just miss. Emma Thompson’s work in Primary Colors is a much more likely pick from me. I’d really want to see Bridget Fonda and her work in A Simple Plan included in the mix. 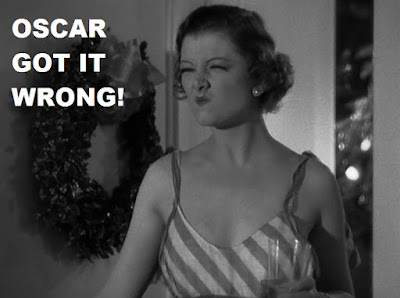 If I’m limited to a single replacement, though, my choice is Franke Potente in Run Lola Run. 5. I don’t have anything seriously against Emily Watson or her performance in Hilary and Jackie, but I don’t love the nomination for a couple of important reasons. First, this feels very much like a nomination for the role and not the performance. An artist who loses her gift because of a physical ailment is always the sort of thing that makes the Academy sit up and take notice. Second, and more importantly when it comes to handing out statues, Rachel Griffiths is the best part of the movie and takes every scene she is in. 4. I’ve never been an apologist for Renee Zellwegger, but everything I said above about Rachel Griffiths and Emily Watson could be said about Zellwegger and Meryl Streep. The entire first half of One True Thing belongs the Zellwegger completely, and Streep is only interesting in the second half. There’s just too much here that doesn’t work, though. Like a number of years, this nomination feels like it just wouldn’t be complete if we didn’t have Meryl here somewhere, and this was the most likely candidate. 3. I think a lot of people were surprised at the number of awards handed out to Shakespeare in Love, and Gwyneth Paltrow’s win was one of those surprises. Again, there is nothing specifically wrong with her performance, but it’s another that seems to have been designed to earn an Oscar nomination based on the role itself more than the performance. Too much of the film doesn’t work for me, though—I can’t imagine that anyone would actually buy Paltrow as a man, and since that’s a significant plot element, a lot of it just doesn’t work. 2. I like Cate Blanchett, so I’m always happy to see her nominated for a deserved performance, and Elizabeth is one of those performances. What works primarily here is the growth of the character, since this is more or less a character study of Queen Bess. The character she is at the end of the film is suggesting courses of action the character at the beginning couldn’t contemplate, and she’s believable in both cases. She’d make my list of nominations, but she wouldn’t be my winner. 1. For me, the winner is Fernanda Montenegro and her work in Central Station. The film itself is genuinely nothing special, and the plot is pretty standard fare, going exactly where we expect it will go. It is Montenegro who makes the whole thing worth watching. She is good in the bulk of the film and even great, but in the last 20 minutes, she becomes something that is nearly flawless, and all of what comes before is required to get her there. I could see Cate Blanchett winning this Oscar and I wouldn’t be terribly upset, but it’s Montenegro who truly deserved it. Flip your first and second and I'd be in agreement though I'd probably put Meryl before Paltrow whose specialness except in Emma escapes me. 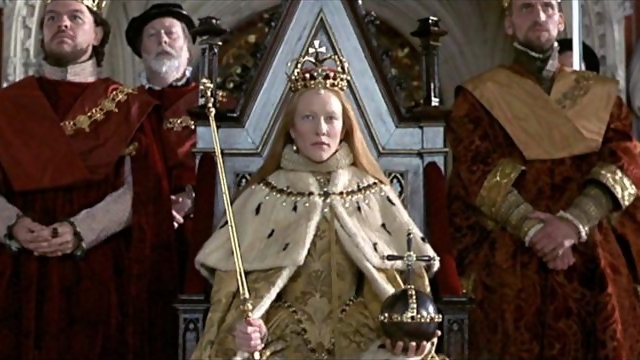 I wouldn't have been upset to see Fernanda Montenegro win because her work is beautifully done but for me Blanchett navigates the tricky landscape of the journey of the somewhat reckless Princess Elizabeth to the canny and tough Good Queen Bess just about as well as it could be done. I honestly wouldn't be terribly upset with Blanchett in first here. I think an argument could be made for both her and Montenegro for this. For me, it's the closing scenes of Central Station that seal the deal--Montenegro is on another planet. Not sure what I was doing in '98, but I have not seen even one of the nominated performances. Looking through my letterbox, I watched a good number of movies, but most of them were crappy. I did see Run Lola Run, however. That's awesome and I agree Potente was awesome so I guess that would be my winner. My only other real contender would probably be Natasha Lyonne in Slums of Beverly Hills. Ah, damn--I forgot that Slums of Beverly Hills was a 1998 release, and I love Natasha Lyonne in that. She's a great call-out here! As for the five nominees, Elizabeth is worth your time. Central Station isn't a great movie. It's good, but is really worth seeing specifically because Fernanda Montenegro is tremendous in it--if that interests you, it's worth it. 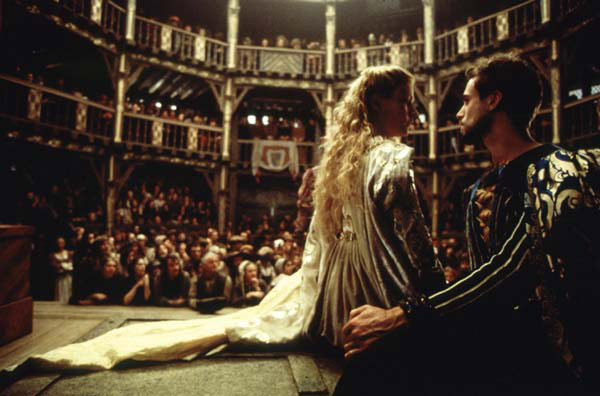 Shakespeare in Love is must-see only if you're trying to watch all of the Best Picture winners. Otherwise, it's fine, but not exceptional. The other two? You can pretty much skip them.